Folding chair of laminated wood with an ashwood topping, designed by Gijs Bakker for Castelijn, period 1976. Consisting of three arches, each with the same radius. Upholstered with reed plait. 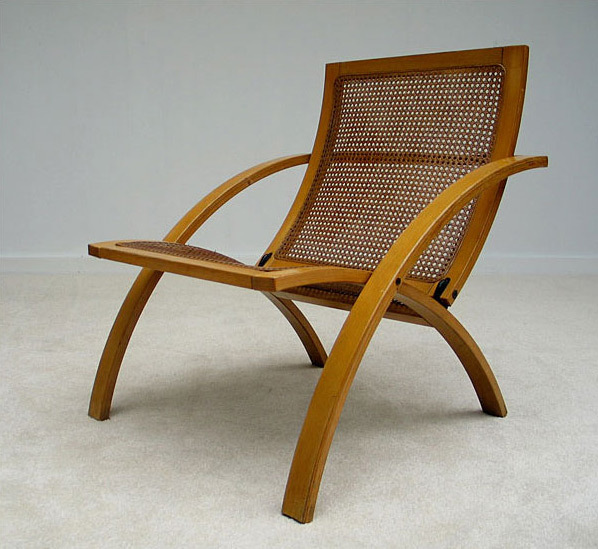 Chaise pliante en bois stratifié, conçu par Gijs Bakker pour Castelijn, vers 1976. Composée de 3 arcs. Assise et dossier en cannage.